The ZGRIP® Patriot® from Golf Pride® is designed with a uniquely textured surface pattern that includes strategically placed pebbled bands. These bands, along with a supple tri-colored rubber construction, provide exceptional traction for added playability. The Patriot is designed for players of all skill levels and has the durability you expect from Golf Pride. 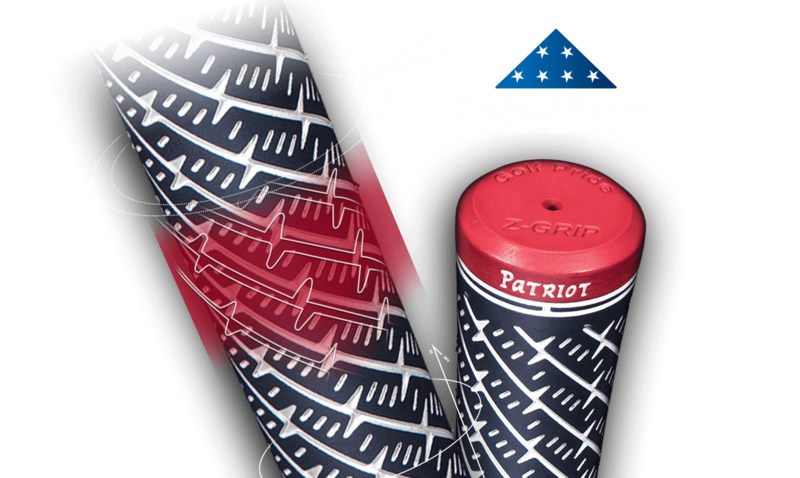 A percentage of every Patriot grip purchase is donated to the Folds of Honor Foundation. Designed with texture pattern to channel away moisture from the hands. The “Z”-shaped texture provides added traction and stability in all conditions.